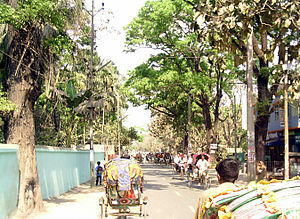 Sabethville is located in a small town named Comilla. I grew up here. My Mom, my siblings and I spent a long time here. It is a quiet and peaceful town where the schools and colleges are not too far from our home. Sabethville is named after my Dad, Abdus Sabeth. He died when I was twelve years old. This is my way of remembering my Dad. Hello friends I am Ranu. I am a Bengali. I spent my early childhood away from my country Bangladesh. My father’s job took him to a variety of cities. We were fortunate,we were exposed to these cities and also learned their language. After my Dad’s passing, my Mom wanted to move to Bangladesh. The first year we moved we stayed in my maternal Grandpa’s village. Then To Comilla. I was lucky I was able to carry on my education. I successfully completed my Bachelor’s degree from Dhaka University.I completed my Master’s degree from the same university. After my marriage I moved to Montreal Canada. A year later to Gander,Newfoundland. I taught in an elementary school for a while. I moved again with my family to the capital of Newfoundland. I think this is it.I have no intention of moving anymore. I’ve been reading about Comilla, and looking at pictures. It’s a very beautiful place. It appears to be rich in multiple cultures. When I look, I see mosques and temples. Has it changed greatly? Does it still remain quiet and peaceful? It has changed.There are more people now.People are moving to Comilla from the nearby villages to find work. It is not as quiet as it used to be.It still is more peaceful than Dhaka. First of all ,a very happy new year to you too,Zein.It is not too late. Thank you Himani,I am ecstatic you nominated me for the award. Hey Ranu, so nice to meet you! Great blog. you have such sweet and honest writing. I’m glad I stumbled upon you. Thank you Zarfasheen,the feeling is mutual. You really made my day,thank you so much! Not on a billboard but from your Hotmail address. Really,I thought you are one of those famous people running to be re-elected and was frantically vying for votes. There is always a price for fame.But you’re aware it I know. Can you please help me with something? How may I help you,dear friend? I’m having a hard time understanding how my E-mail is public as I never made it so. Can you please tell me where was my E-mail address visible? I saw it after I approved your comment.It wasn’t visible before. You saw it where? I mean when you approved my comment where did my email appear? Can you still see it or was it momentarily? Thank you so much, I dream too,but within limits.I’m so happy to read about you. I know, I do have fun with people with sense of humor. Hey Ranu . You have a great place. Hey there – I nominated you for a Liebster Award. You can pick it up here: http://mindofmonique.wordpress.com/2014/02/10/liebster-im-not-even-german/ If you don’t have time to accept, no worries! I definitely understand. (looks like you are popular!) You are doing a great job on your blog and I just wanted to let you know that I enjoy your posts. intend to name the five bloggers.Thank you, all the best to you. I like that. I have no intentions of moving anymore 🙂 I’m happy you’ve found the place you want to be. Yes I have It’s a small city, there are a lot of friendly and nice people. Yes Mel, I live in Canada now. Oh thank you very much for the award. thank you for sharing, it’s great to get to know who you are and where you are from. you must have been an exemplary student to gain the scholarship! hard work i’m sure! Thank you I am glad to meet you. It certainly is.I’d like to know you as well. I live in Manitoba where we have six months of winter. This has been one of the worst ever. I begin gardening in the middle of May and am done by end of September. You mention it is too cold to garden where you live. Just wondering what makes you think you live in a too cold climate to garden? It is St. John’s newfoundland. I don’t think I realized you were in Canada, Ranu. Maybe we’ll visit you someday in St. John’s. Do you have any plans to visit PEI? Do you live in PEI? Sure we’d love to see you in our windy city,it’s an interesting one. I’m sure you’d love it. It’ll be awesome if you visit ST. John’s. I am very glad to nominate you for the SUNSHINE AWARD. Thank you Afsheen for nominating me. What do I have to do,can you kindly let me know. May Allah bless you and your loved ones too. Thank you Mel,what do I have to do kindly let me know. Thank you so much for the Nomination,Mel. 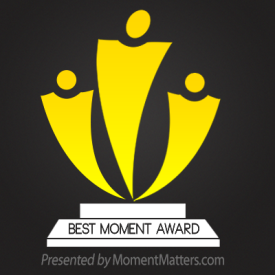 Pingback: Best Moment Award | Views Splash! Hi Pranita, I am a Bengali too,thank you for your comment,it made my day,bless your heart. Me too especially because I am a Bengali too.Thank you. if you please let me know the requirements I’d be glad to accept your nomination. Pingback: The Versatile Blogger Award | The Bohemian Rock Star's "Untitled Project"
to five I’d gladly accept. I think it is OK to nominate less than the specified amount, I think the number given is a maximum. Wishing you a super weekend. before anything else,please forgive me this time. Thank you Lita, we are having snow flurries here,it’s not that bad. Ah enjoy the snow. We missed out on it at the bottom of England this year! We only had a bit,now it has melted,no trace is left. I love the way snow slowly disappears! So gradual. I too love watching the snow disappear,this winter we had more than we could handle. I guess that’s the other side of the coin. Not so delightful when it holds up your day! I don’t know why the page is blank,Leslie. Thank you I know a Pakistani you may know him, he is a writer, his name is Khurram Ali Shafique. It’s okay, I thought you might. Thank you so much Darshana. I love your tagline! I saw some pictures and Sabethville seems really nice and peaceful! Very impressive. You seem like an amazing person. I am a very simple person, I like people, my favorite poet is Tagore whom I learned to love from a very young age. I do not take compliments lightly, in fact I treasure every single compliment I get. What a moving and beautiful “About” page, Ranu! Thank you for telling your readers all this about yourself! And thanks for visiting my page today! I’ll check out your work, too! Nice to meet you Ranu!